Plenty of sunshine. High 87F. Winds S at 5 to 10 mph..
Clear to partly cloudy. Low 51F. Winds SW at 5 to 10 mph. St. Helena’s Hannah Weinberger took over her husband’s winery after he was shot in 1882. Photo courtesy of the St. Helena Public Library/Napa Valley Wine Library Association. In the 1880s, at a time when women couldn’t cast a ballot, St. Helena’s Hannah Weinberger and Josephine Marlin Tychson were unusual — they were winemakers and businesswomen. Both were neighbors as well, owning properties with their husbands north of St. Helena on Highway 29. After their husbands’ deaths, the two widows took over their estates and supervised grapegrowing and winemaking. 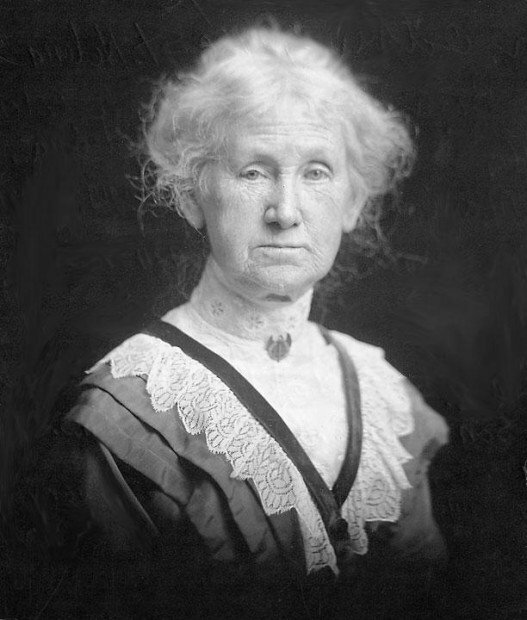 Weinberger was more successful than Tychson, running her winery until it was closed in 1920 by Prohibition. Tychson ran into financial trouble and declared bankruptcy in 1895. That the two were pioneers in the Napa Valley wine industry is clear from the researched and published history, but part of that published history is incorrect. So, who was the first woman vintner in the Napa Valley? According to research conducted by Mariam Hansen of the St. Helena Historical Society and supplied to the St. Helena Star, it was not Josephine Marlin Tychson. It was Hannah Weinberger, whose husband was murdered March 21, 1882, four years before John Tychson died. The property owned by the Weinbergers is now William Cole Vineyards, just north of Deer Park Road, north of St. Helena. Tychson’s cellars are now the site of Freemark Abbey, north of St. Helena’s Lodi Lane. Hansen said Josephine Marlin came to California with her family and settled in San Lorenzo. 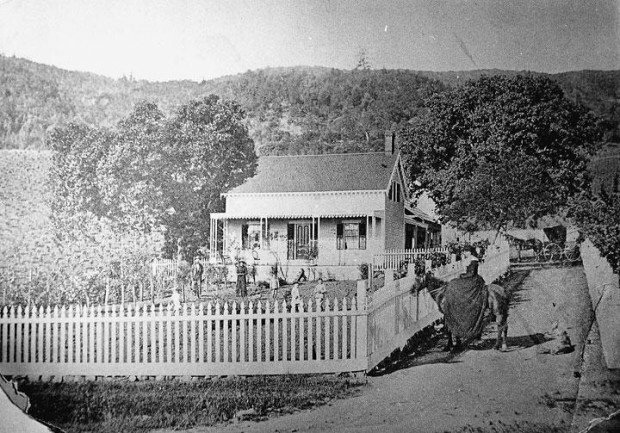 She married John C. Tychson and in 1881 the Tychsons bought 147 acres north of St. Helena that became known as Tychson’s Hill. Her husband, who suffered from tuberculosis, committed suicide on April 9, 1886. After his suicide, Josephine supervised the construction of a new wine cellar that could hold 20,000 gallons. Heitz also talks about Tychson, who directed the production of wine at her own winery north of St. Helena beginning in the fall of 1886. Hannah Elizabeth Rabbe Weinberger was born Oct. 7, 1840, and after marrying John Weinberger in 1871, the couple moved to the Napa Valley. They bought 240 acres and spent three years building a three-story stone winery, which was completed in 1876, with 35 acres planted in vineyard. Charles E. Sullivan, in his 2008 edition of Napa Wine, notes that John Weinberger was “one of the men at the first St. Helena Vinicultural Club meeting on Jan. 22, 1876,” and notes that he had “just made 50,000 gallons of wine” at his stone winery. To Bill and Jane Ballentine, current owners of the former Weinberger winery, the question of who was the first woman vintner in Napa Valley is a matter of accuracy. The Ballentines bought the 5.25-acre parcel in 1999. The winery was converted to a residence in 1938 and the couple spent five years restoring the bottom floor of the stone building to its original use and the top two floors so they could live in them. After Hannah Weinberger closed the winery in 1920, and after her death in 1931, her son, John Weinberger Jr., sold parcels of the 240-acre estate, so the family could keep the residence and winery. The Harrison family bought the estate in 1938 and decided to raze Weinberger’s original Victorian-era mansion, which was ruined, and convert the top two floors into a summer residence. The Gonser family bought the property in 1965 and used it as a summer residence until the Ballentines bought it. The winery — renamed William Cole Vineyards after Bill Ballentine and his son, Cole — was established in 2004 and released its first “Cuvee Claire” Cabernet Sauvignon — named for Bill’s daughter — the following year. After the Ballentines bought the property, Jane’s father-in-law, Lorin Sorensen, and Kathy Kernberger spent a lot of time researching the history of the property. “This place laid idle for so many years, no one really knew the history,” Ballentine said. “This place is like a treasure hunt. We keep finding different historical facts as we go forward. “Whatever the end result is, we just want to get the record straight and not have it improperly represented. Hannah was a pillar of the community. The Weinbergers and the Krugs were apparently just the nicest people. Kristie Sheppard, executive director of the Napa County Historical Society, explained that new information provided to the St. Helena Historical Society by the Ballentines may have uncovered the true story about which woman was the first vintner. Sheppard said she has requested the information from the St. Helena Historical Society.